The Photographic Honour Roll commemorates the men from Rye and district who enlisted in World War One. 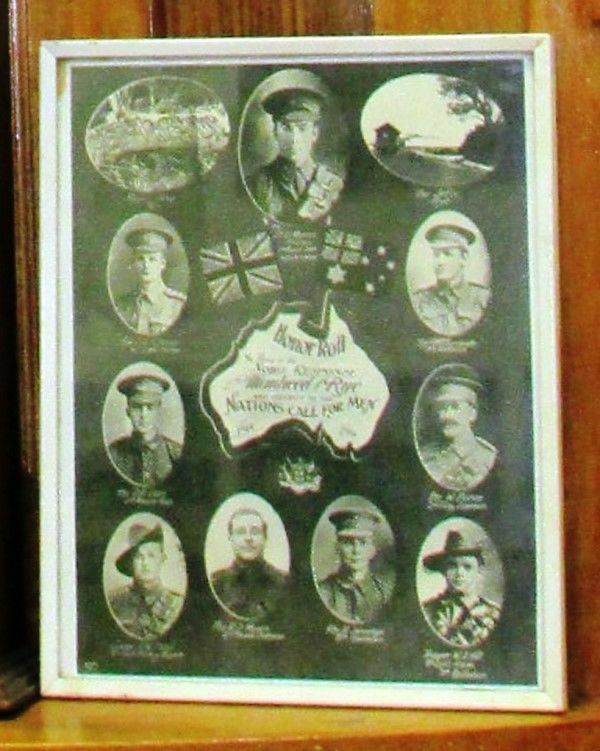 In the centre of the roll is a map of Australia which is surrounded by photographs of the enlisted men. Note: An identical roll is located at the Rye RSL Club.